​Oh you Southeast Asia-how have you come about to bring a means to a beggining? What do I mean? One word, one large meaning…Kratom. 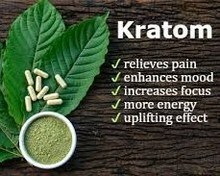 I know you have BILLIONS of questions, and you want to get to the bottom of what Kratom is, and what it will do for your pain. Hundreds of years ago, in the year 1836, a man by the name of Pieter Wilem Korthals, a Botanist working for the East India company discovered this herbal remedy plant that was related to a coffee plant. He wrote us and left us a little story. The peasants of and rural works of Malaysia used the kratom plant as an opiate substitute when there was not any or un-affordable. Malaysia was heavily experiencing distribution in and out, import and exports to a local cities and towns in South east asia. It’s not just now that we’re discovering a new way to bring a new revolution to the use of opioids, regulate a new standard, and bring down BIG PHARMA. if you want to skip all the gibber Jabber from me, and you want to see the right and only company for Kratom, you can click here. Other than what you’ve just read up to this point, the real purpose of this article is not to just tell you about kratom and back pain, but to reveal to you the most anticipated, eye opening, and real science behind the a supplement that is changing you and I for the greater of goods. And it’s a presentation. This video takes a the documentary of a pro lifter, who travels around gathering information from scientist, and interviews people who are and were once on Kratom. His mission was to expose the truth on the governments regulations, and why this so little researched drug is not harmful like the government tells us. This will surely and ultimately answer all your questions. My head was spinning after watching this, but maybe more for me than others. I’ve used kratom to relieve my own chronic pain, to relive my lower back problems, and the drive for me was to to leave opioids, and once in for all get to do everything I couldn’t do before. Now this is the part where I tell you, try it! C’mon right?. No! I will not tell what you should and shouldn’t do, because I don’t endorse anything that’s not ruled in the marketplace. I’m not on this bandwagon, but I can’t see you constantly fail, hurt, and give up on yourself. ​I haven’t once strayed away from the path. I never acted out, lost my head, and most importantly became addicted. Not once. Rather quite the opposite. I became closer with my spirituality, emotions, and learned to have the faith to do things like I once naturally did.